Butler Pavers offers all the advantages of traditional cast-concrete landscaping stone, and can build and install just about any garden wall or retaining wall. We can provide visual accents, fully-engineered walls and commercial construction anywhere from a few inches to three feet in height. 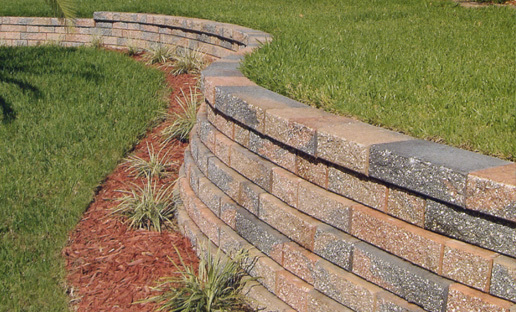 Garden or retaining walls can add value to any home, and require virtually no maintenance. And in addition, Butler Pavers can build terrace gardens, tree rings, sandboxes, planters, fire pits and more—just about anything made of stone that can be used to bring beauty and worth to your home or landscape. Here are a few examples… and if you don't see something you like, odds are Butler Pavers can make it or get it for you.